What do office workers in Melbourne look at when going for a walk in the park? 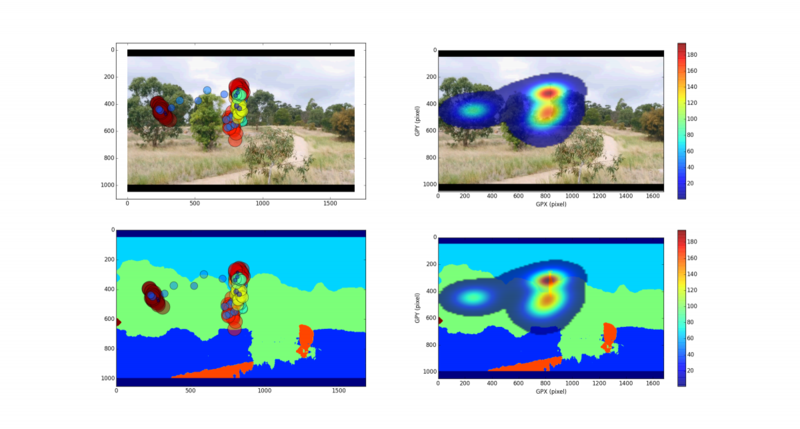 This study examines the differences in what men, women and people with different levels of nature appreciation look at in films of walks through Melbourne’s parks. Eye-tracking is becoming an increasingly important means of testing well-known theories in landscape planning, such as prospect-refuge theory. This project asked 19 participants to view films of parks in Melbourne to understand what they looked at and compares this with their heart rates and opinions about the parks. One of the key challenges that the project overcomes is the use of moving areas of interest in a video. The project team are able to show how different videos contain different amounts of content and show how different participants focus on this content.